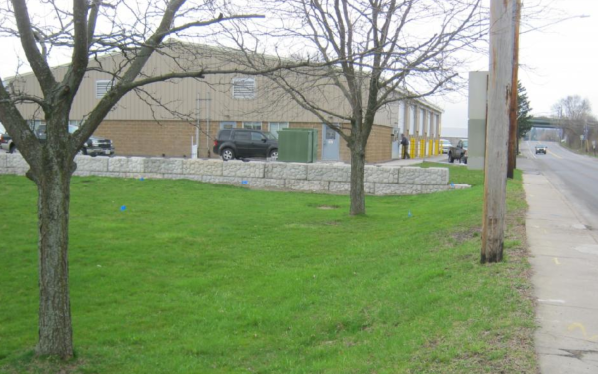 The Village of Solvay proposes a bioretention project at their highway garage facility. The site contains poorly draining soils, so the proposed bioretention basin will be equipped with an underdrain system to improve drainage and promote pollutant removal through filtration. Some grading will also be required to create bioswales to direct runoff to the basin and modification to the existing retaining wall along the east side of the highway garage to allow for drainage.